It all started in 1811 when German mathematician Johannes Kepler put forth a conjecture about the optimal density of spheres in a given space. The basic idea is simple. Imagine a box full of oranges. What is the most efficient way to arrange them? Despite the perceived simplicity, it was only in 1998 that American Thomas Hales proved the conjecture – thus consolidating it as a theorem. Now, a box of oranges is easy enough to understand, but you might be asking yourself what in the world an orange with eight dimensions might look (or taste) like. A sphere is a figure where every point is equidistant from its center, and this remains the case no matter how many dimensions you’re looking at. To solve this problem in the eighth and 24th dimensions, mathematicians needed to find an auxiliary function. 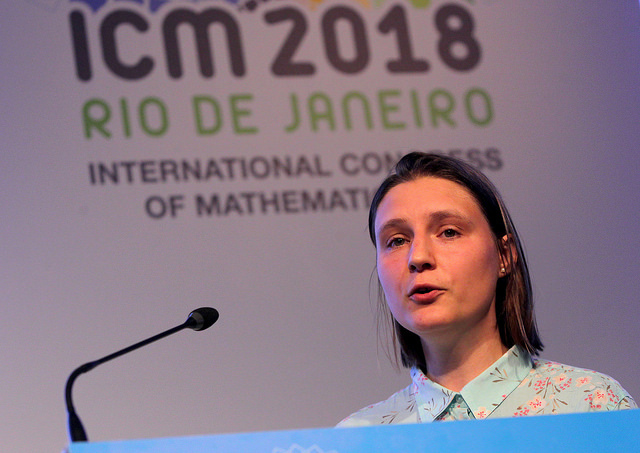 Until Viazovska’s breakthrough, no one had managed to figure it out. “We couldn’t find this magic function,” she recalls. Her solution was elegantly simple and published in a 22-page paper. 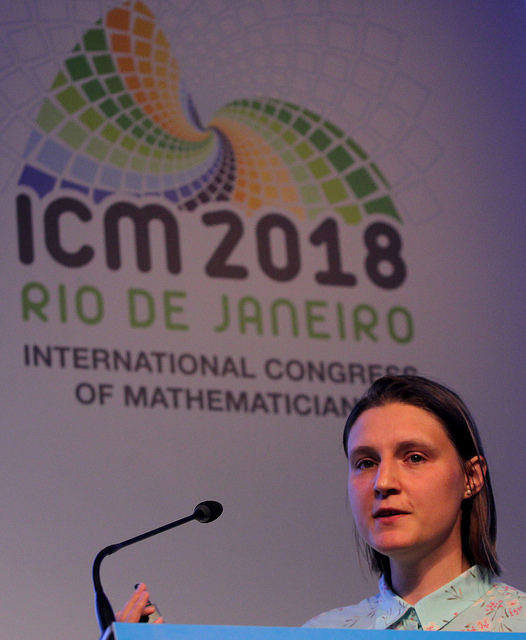 Her work has the potential to echo in several other fields including energy minimization, free interpolation formulas, and signal processing, although admittedly, she isn’t sure where else it might go. “I’m a theoretical mathematician, so I don’t know that much about practical problems,” she jokes.